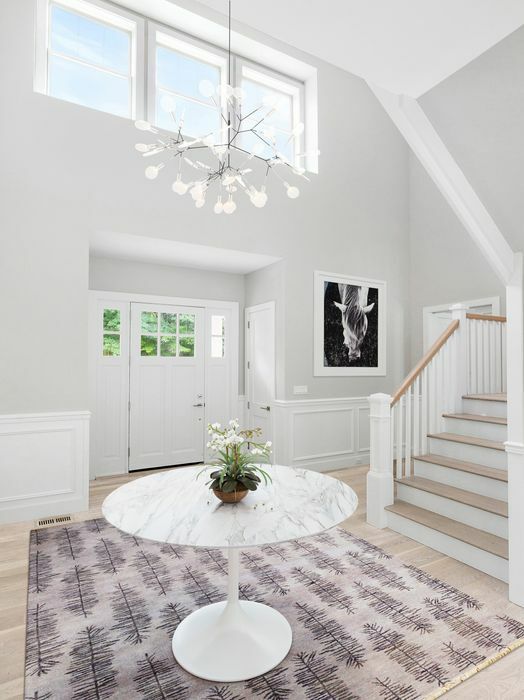 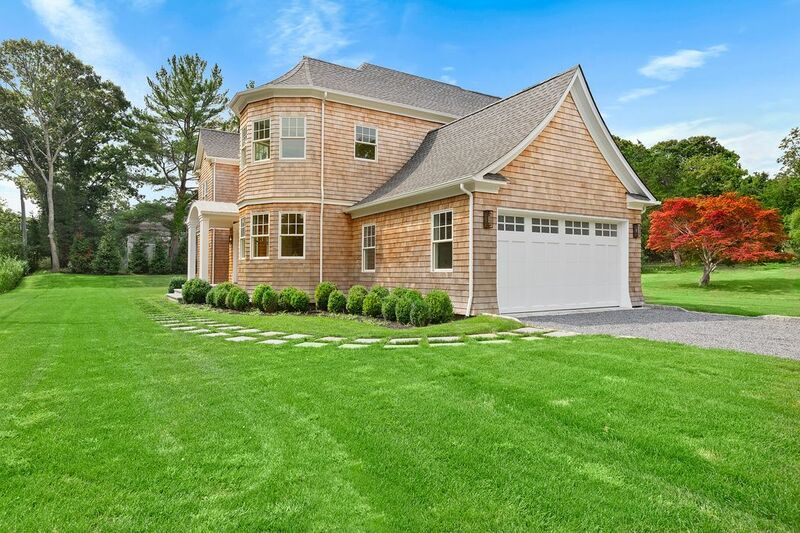 22 Cove Road, Southampton, NY 11968 | Sotheby's International Realty, Inc.
$1,995,000 5 Bedrooms5 Full / 1 Partial Baths3,194 sq. 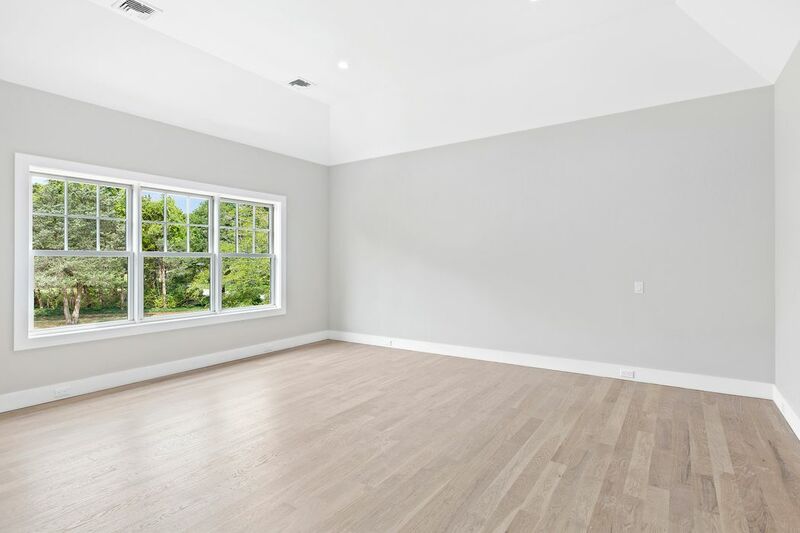 ft.
Just reduced! 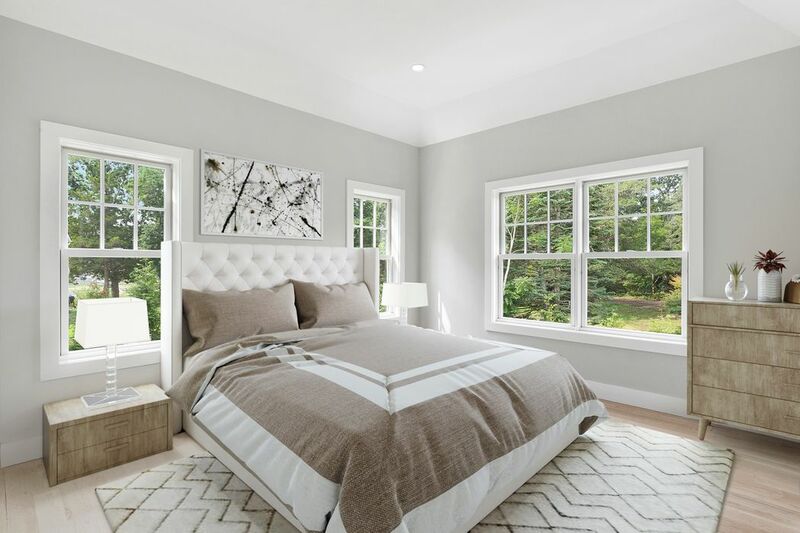 Only 5 bedroom, 5.5 bath new house under $2MM in Southampton. 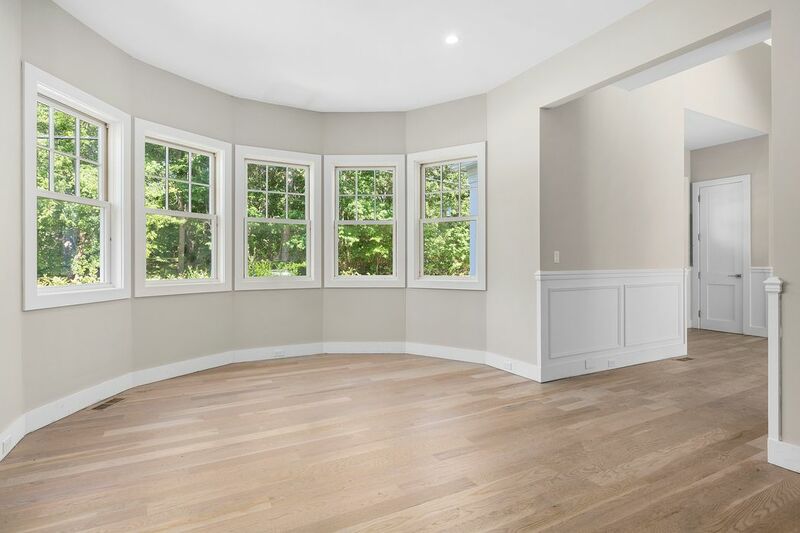 This new construction features high-end finishes one typically doesn't see in a house at this price. 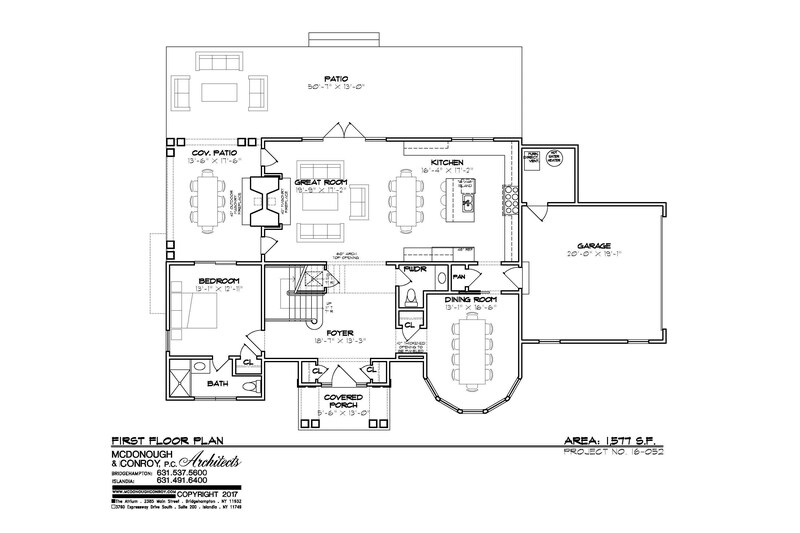 A two-story foyer, 10' ceilings and light floors create a sense of volume and openness. 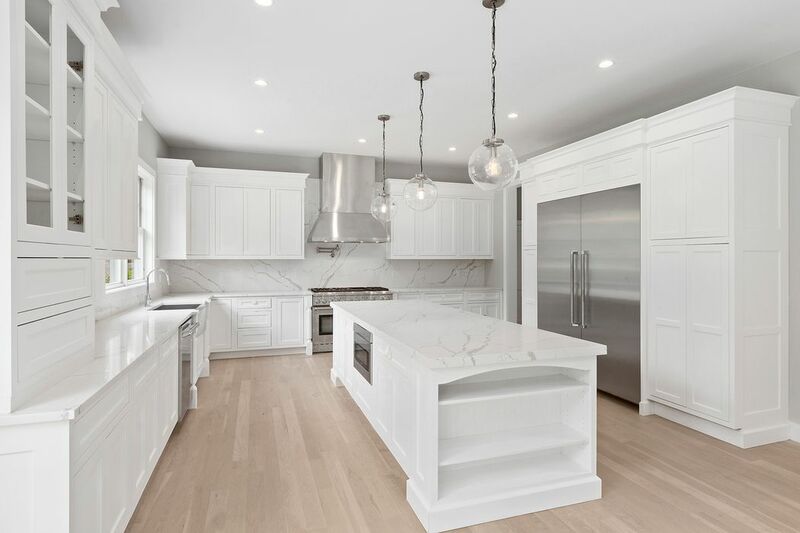 An enormous kitchen features select 2" Calacatta counters and slab backsplash, a pantry, and an upgraded Thermador appliance package (including full fridge, full freezer and double range). 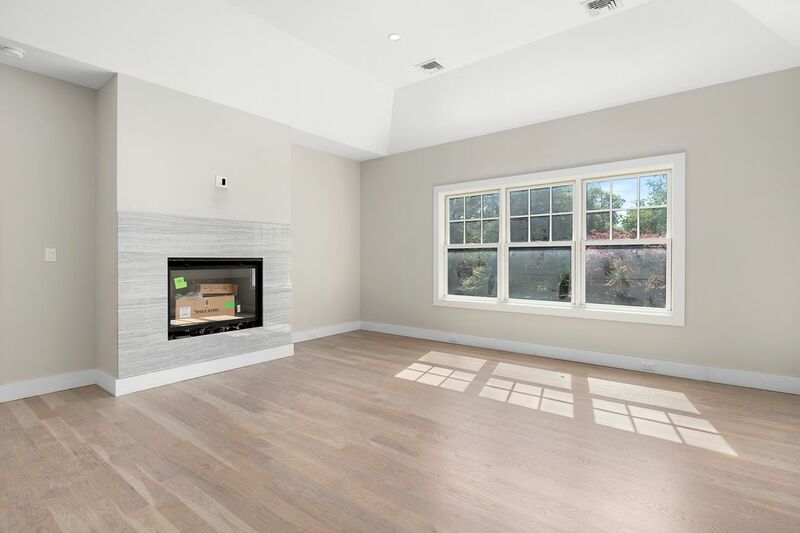 The kitchen attaches to a corner living room with masonry fireplace and patios on two-sides--ideal for indoor/outdoor living. 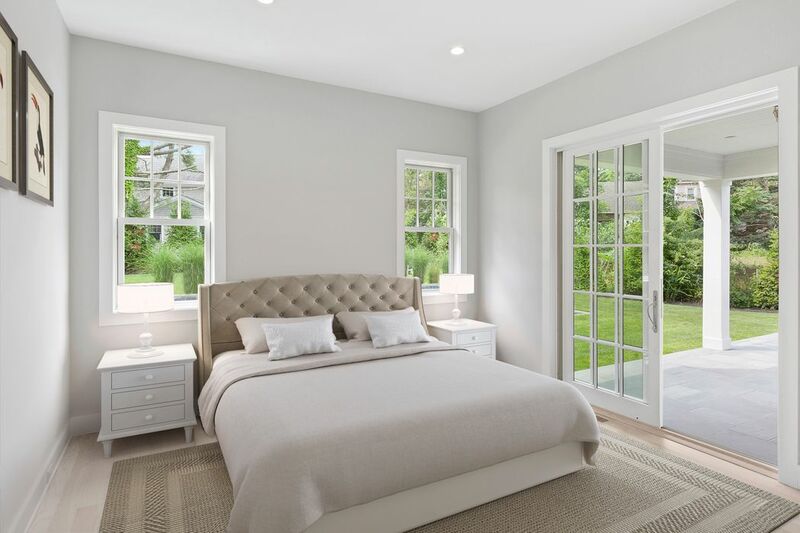 The master suite is oversized, with tray ceilings, gas fireplace, and his/hers closets. 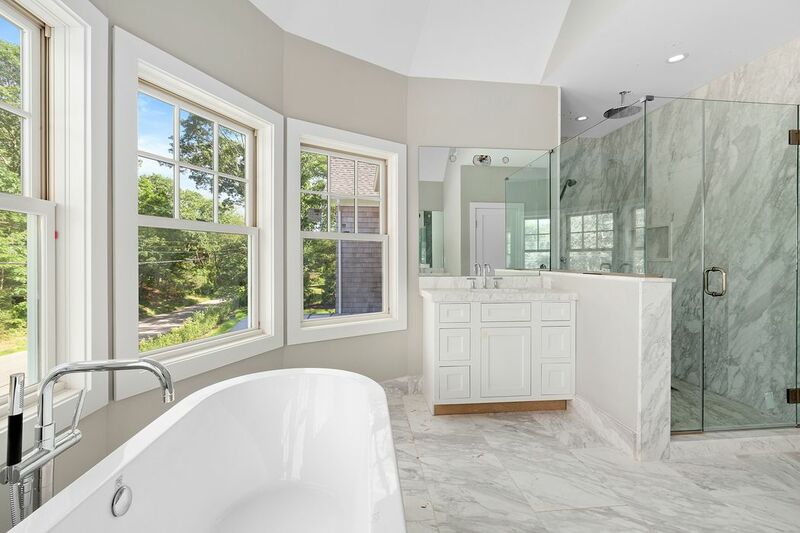 The master bath is a show-stopper, with slab Calacatta floors, a slab shower for 2, water closet and free-standing bathtub surrounded by windows. 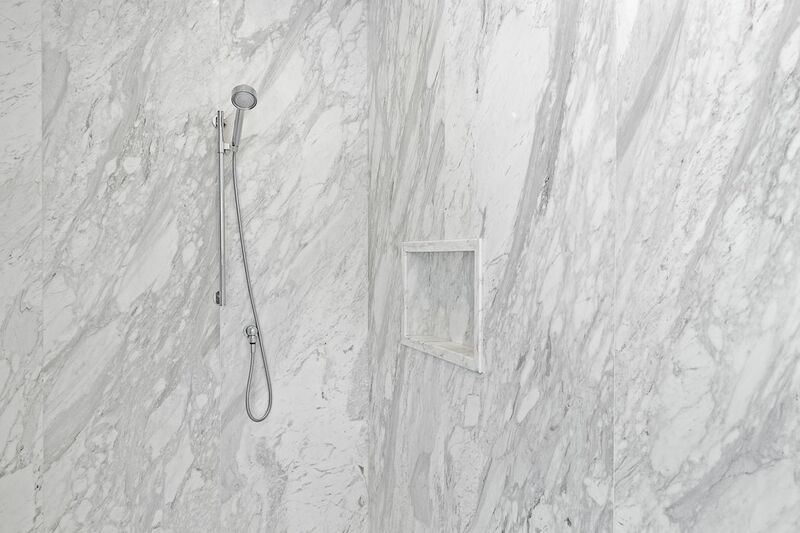 There are 4 additional bedrooms, with ensuite baths featuring gorgeous Dolomite and Grigio marble. 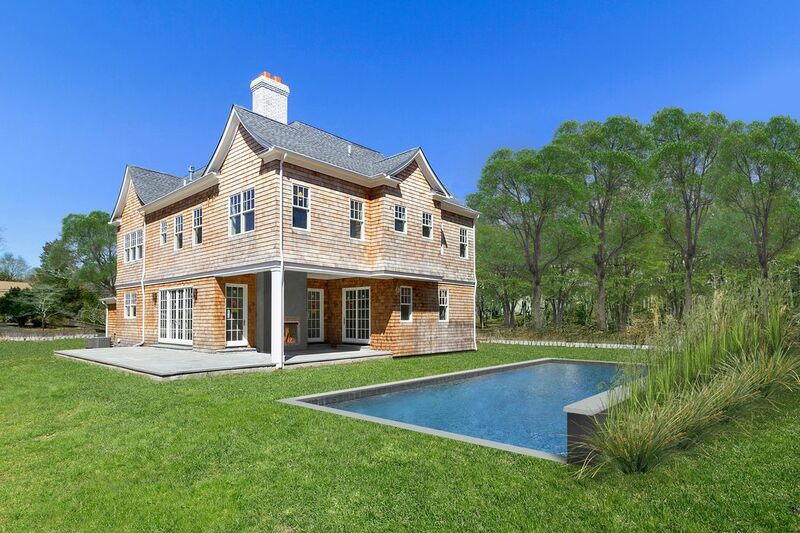 Outside, the yard features a 40' heated gunite pool with 3 spillways, surrounded by privacy evergreen landscaping. 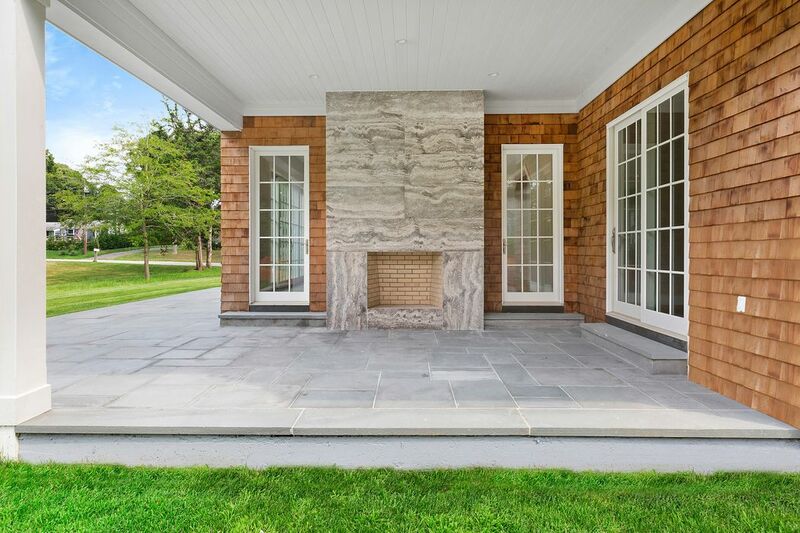 A generous bluestone terrace plus a covered porch with its own fireplace overlook the pool. 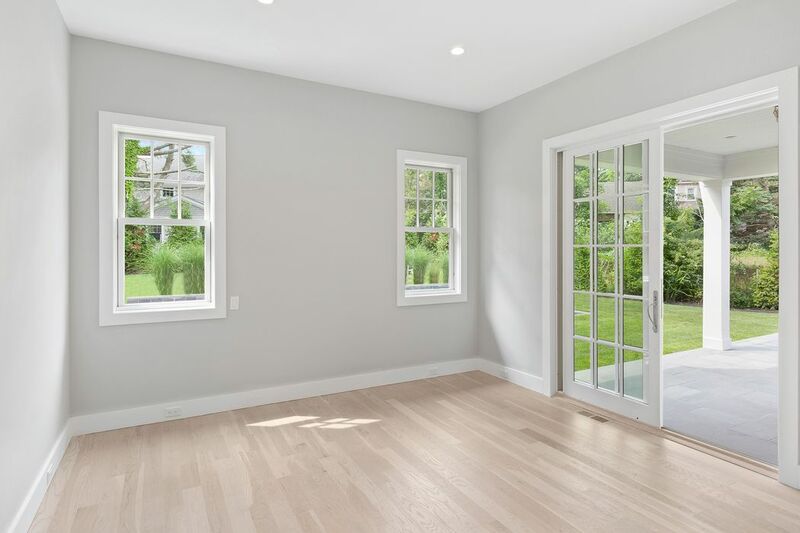 The location is unique, 100 yards from Fish Cove where the home owner can apply for a community boat slip, and can keep a paddle-board, kayak or other water toys. 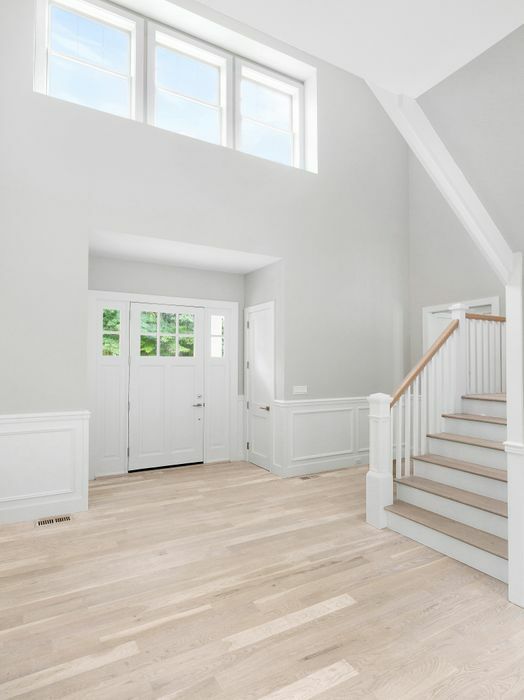 The home is less than a mile to beautiful Towd Point Beach and is also in the desirable Southampton School District. 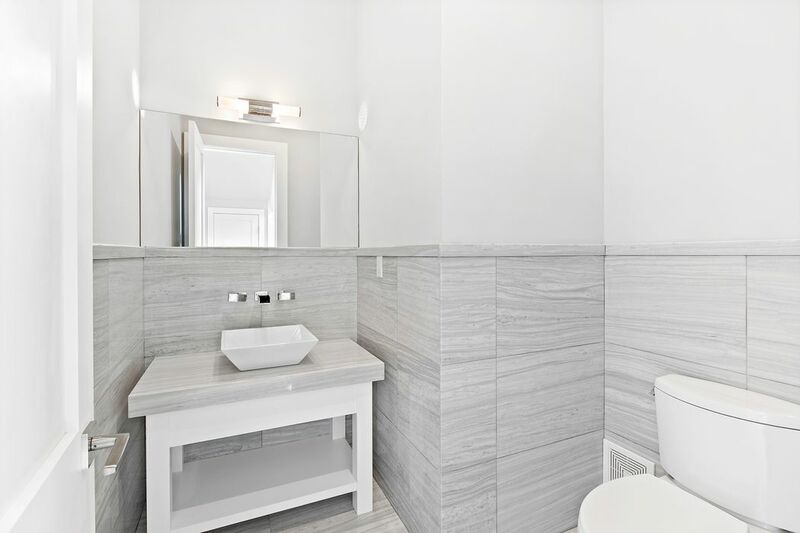 Just reduced to under $2MM! 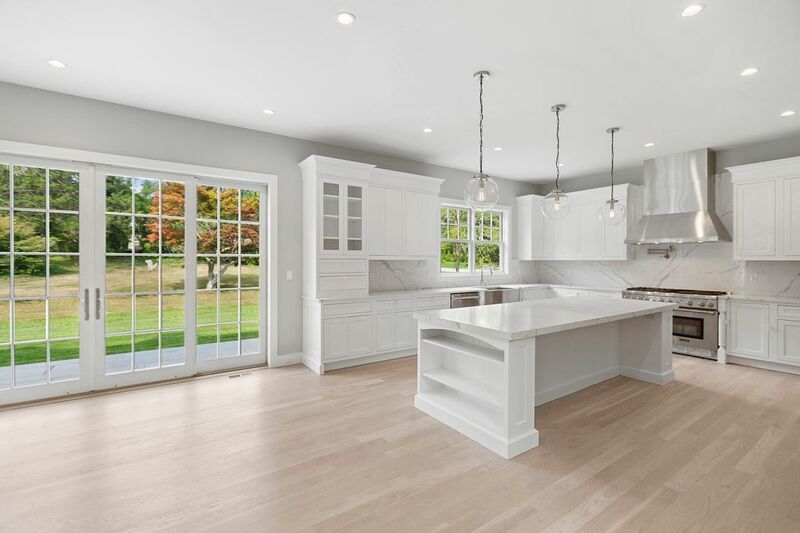 Where else can you find a 5 bedroom, 5.5 bath new construction, with dock rights next door for up to a 22' boat, for under $2 million? 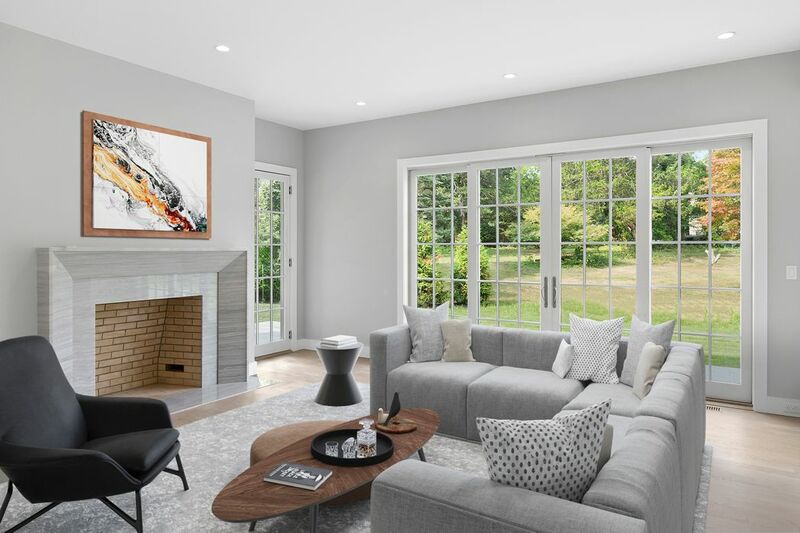 This home features gorgeous interiors, with high-end finishes one typically doesn't see in a house at this price. 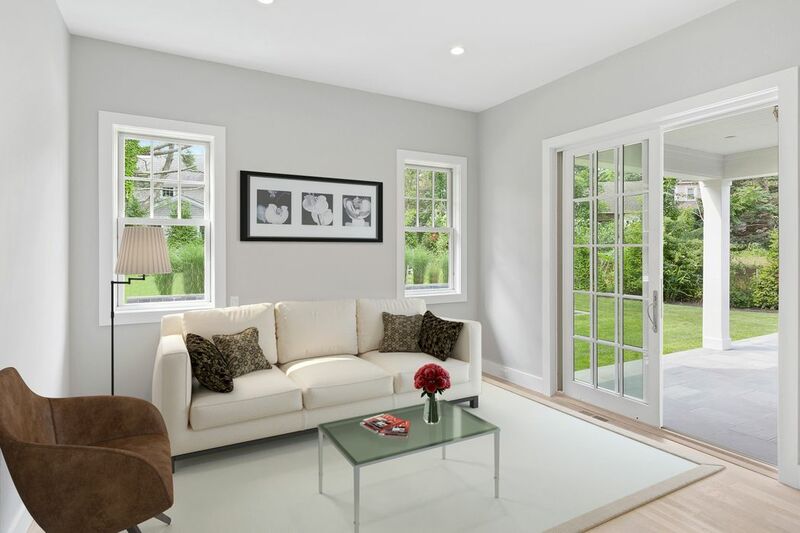 A two-story foyer, 10' ceilings and light floors create a sense of airiness and openness. 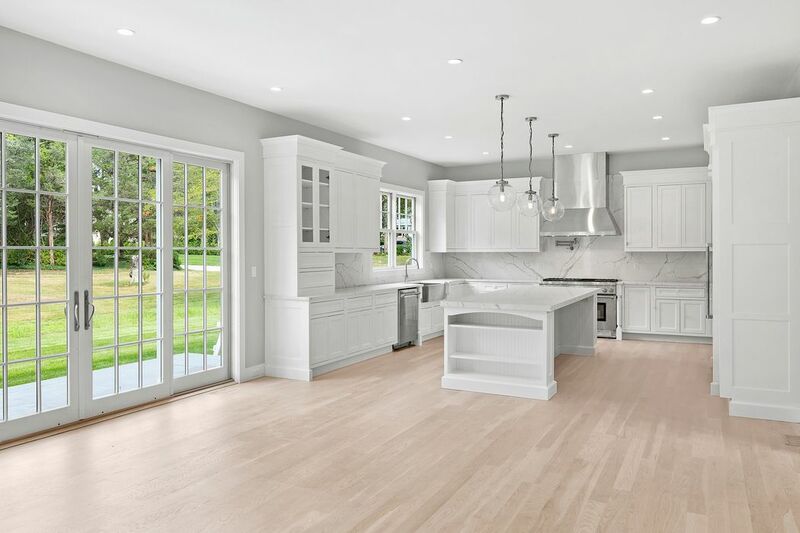 An enormous kitchen features select 2" Calacatta counters and slab backsplash, pantry, and upgraded Thermador appliance package (including full height fridge, full-height freezer and double range). 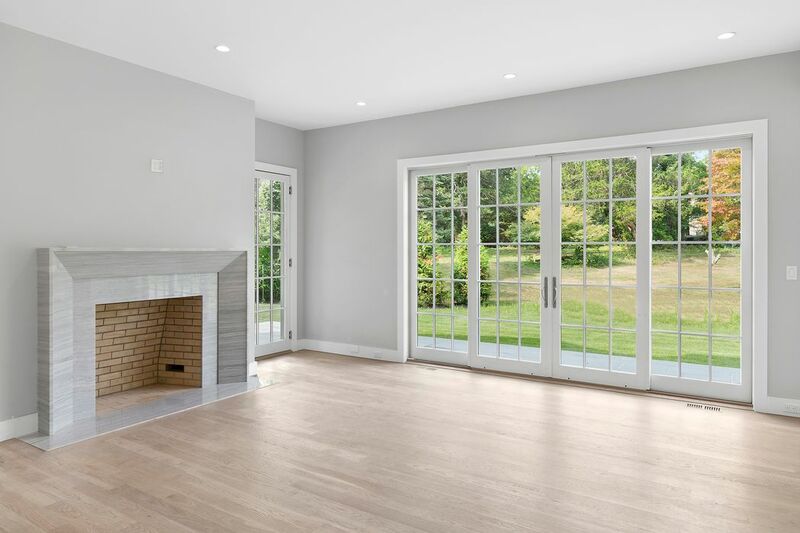 The kitchen attaches to a corner living room with masonry fireplace with patios on two-sides--ideal for indoor/outdoor living. 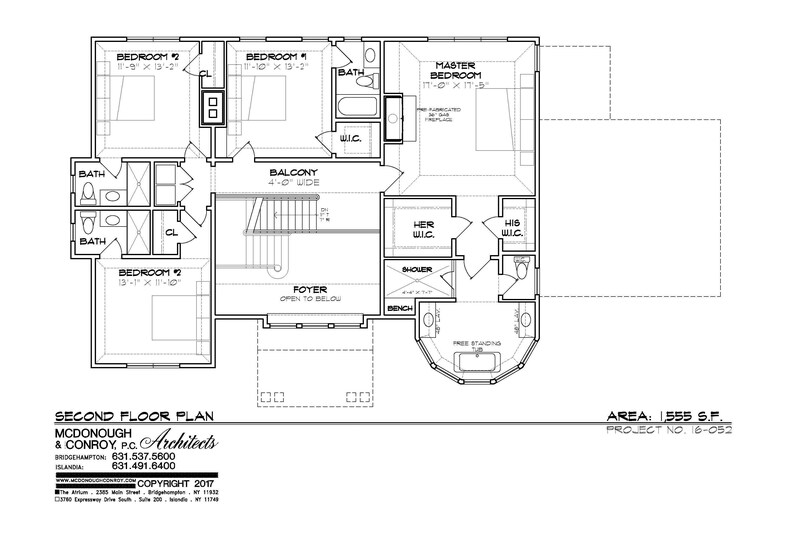 The master suite is oversized, with tray ceilings, gas fireplace, and his/hers closets. 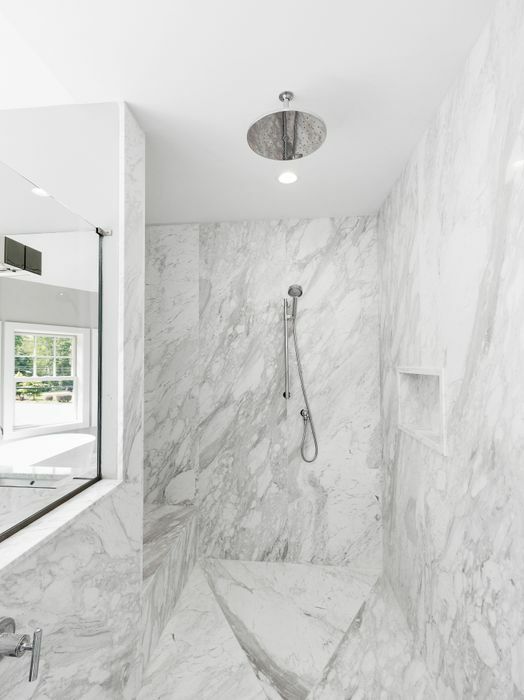 The master bath is a show-stopper, with slab Calacatta floors, a slab shower for 2, water closet and free-standing bathtub surrounded by windows. 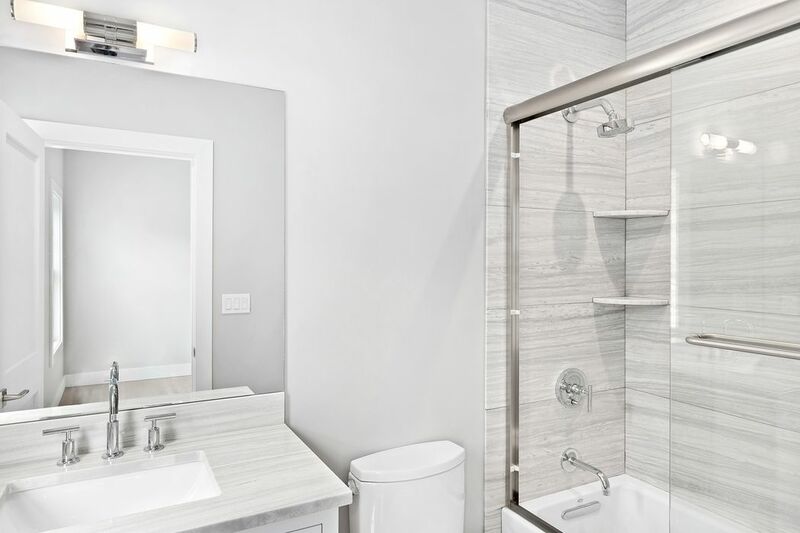 There are 4 additional bedrooms, with ensuite baths featuring gorgeous Dolomite and Grigio marble. 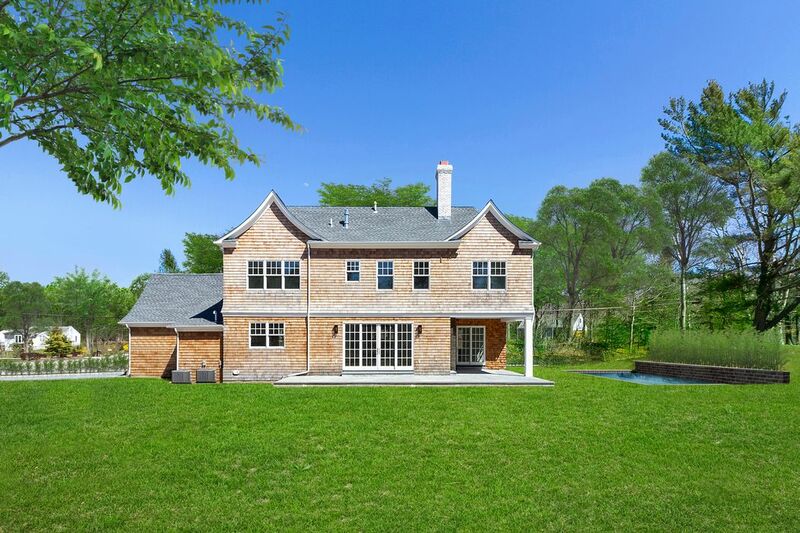 Outside, the yard features a 40' heated gunite pool with 3 spillways, surrounded by privacy evergreen landscaping. 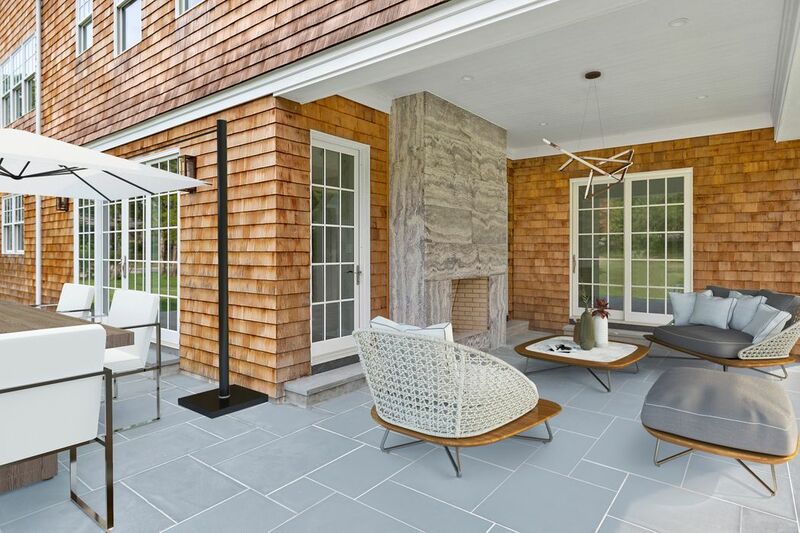 A generous bluestone terrace plus a covered porch with its own fireplace overlook the pool. 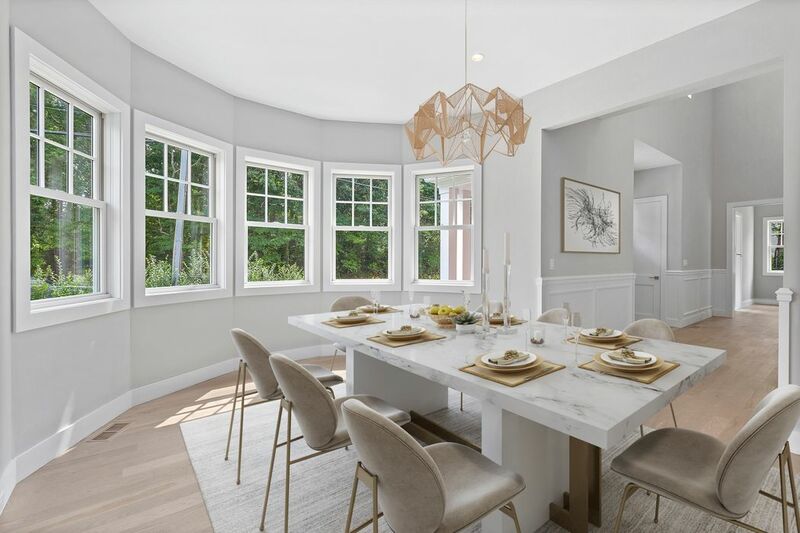 The location is unique, 100 yards from Fish Cove where the home owner can apply for a community boat slip, and can keep a paddle-board, kayak or other water toys. 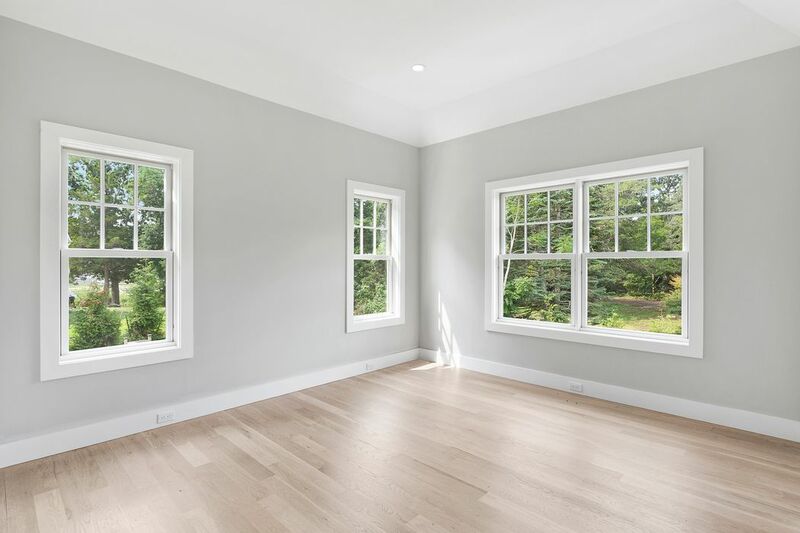 The home is less than a mile to beautiful Towd Point Beach and is also in the desirable Southampton School District.